5/5 rating based on 86 reviews. Read all reviews for Neon Drive - '80s style arcade for iPhone. 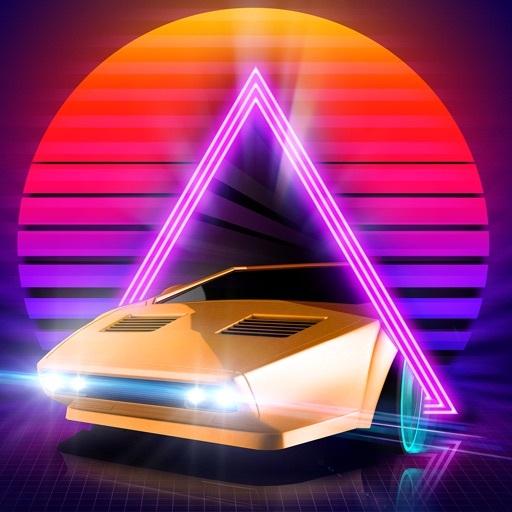 Neon Drive - '80s style arcade is paid iOS app published by Fraoula d.o.o. Last level has you flying and shooting side scrolling. The balls explode and cause a slight frame skip issue which delays your shot, causing you to eventually hit an object. Looks like there is no checkpoint on this level either so good luck. I was hesitant to pay this much for an app, but I have to admit this is a fun (& challenging) game. Love the music! Learned about this game on Beyond Synth podcast, discussing the soundtrack and over-all aesthetics, so I had to look into it. It is a beautiful, retro-gaming experience, and I love the music, etc. However, the difficulty curve basically doesn't exist. It has no buildup, and it leaves me setting it aside sooner than I ought to. It just needs a bit more runway. I feel like I'm on a boss level right off the bat. I suspect there is a lot more, but I cannot comment on what I can't play well enough to see. That said, I'm grateful for any game that's pay up front and not riddled with IAP resulting in a pay-more-to-win killjoy ruining the majority of games today. That truly is a retro game rarity these days, sadly. Thank you.